See the future of your business. 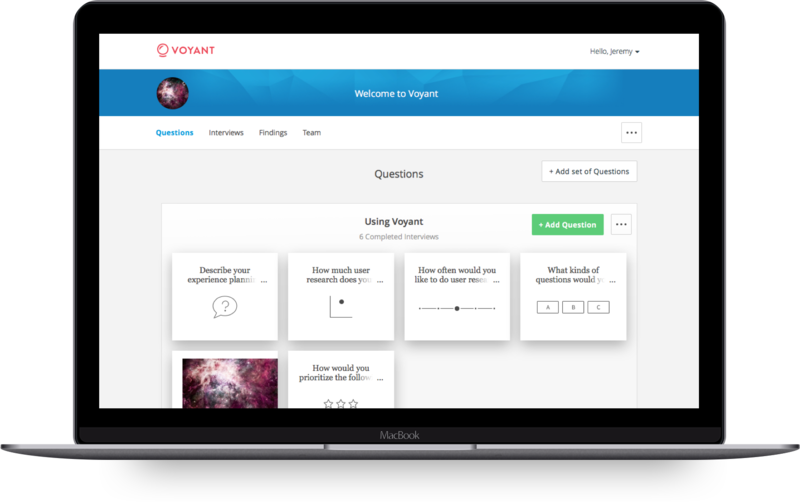 Voyant empowers teams to conduct smarter conversations with customers. Plan, conduct, and analyze conversations to uncover meaningful insights about the future of your business and enable informed decision making. 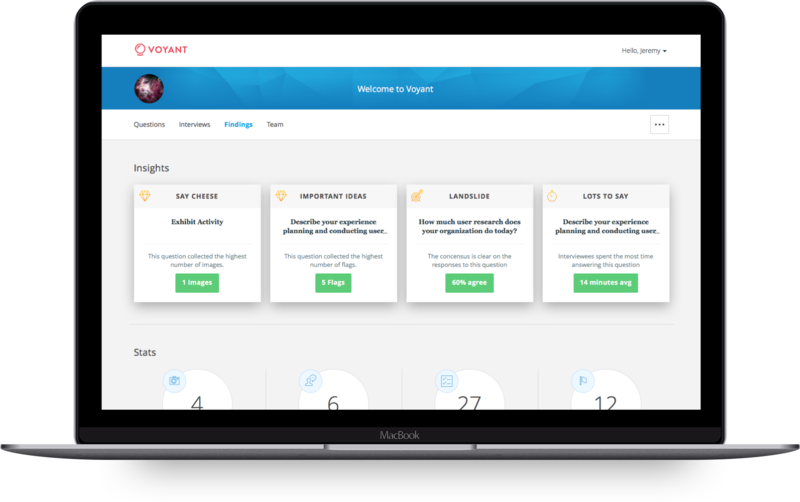 Voyant enables you to base product, service and strategy questions on customer habits, needs and motivations. Regular conversations with stakeholders will reveal insights that can lead to your next big idea. Voyant is a means to get everyone on the same page to ensure your offerings align with your customer's needs. 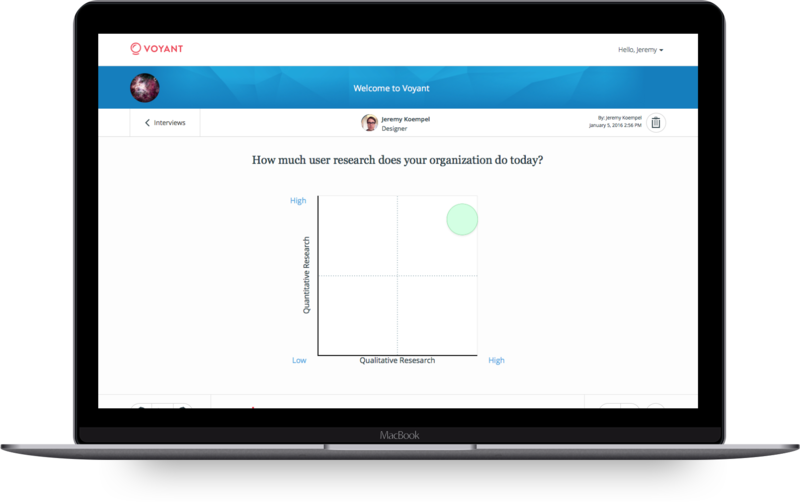 With Voyant, your customer insights are centralized and searchable to provide increased value over time. Draft and refine your interview script. Plan engaging activities for your interviewees. Instantly share with the whole team. There’s no need to rely on notes because Voyant records the entire conversation. Just flag interesting moments so you can revisit them later. Access all of your interviews in one place, instantly. Jump right to the flagged moments, add notes, and even see photos that were taken during the interview. Voyant helps make sure you don’t miss anything important. Get transcripts of your interviews. See how different groups answered. Dig into the data. And, discuss what you think it means with the whole team. Ready to stop guessing and begin to make informed decisions?